Q: How does your company work? A: We gather basic information about your house over the phone and perform market research. Then we set an appointment for one of our associates to visit the house. We can then provide a cash offer on the spot. If you accept our offer, we can close as soon as title work is ready, which takes about 7 days. A: No. There is NEVER a fee for our service. We provide a free estimate on your house and even pricing flexibility based on your specific needs. Q: What if I have inherited a house and it is in probate? A: We have bought hundreds of houses in probate and we are experts in working with these situations. We can work with you and your attorney through the process step by step. Most people are unaware that they can still sell an inherited house even if the probate process is not complete. 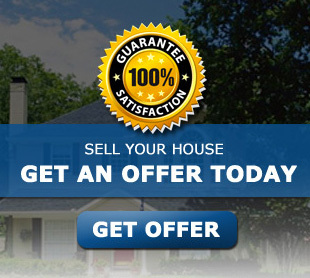 In fact, you can sell the house as soon as you like and we can help you with this. Q: Will you buy my house if it needs extensive repairs? A: Yes. We have years of experience in buying and remodeling houses. We have contractors in place to take on any repairs that are necessary. Q: Will you buy my house if I’m behind on payments? A: Yes. If you have little or no equity and are having financial difficulties, we can negotiate with your lender and ask for a short sale. If you do have some equity, we can make you a cash offer to buy your house outright. Q: What if I have tenants in my house? A: If you still have tenants, we would be happy to work with them if they are abiding by the rental agreement. If they are not in compliance, we can still buy your house and take care of the tenants later. We make the process as easy as possible for you so you don’t have to hassle with it. Q: Can I still sell my house if it has liens on it? A: Yes. We can negotiate with lien holders for a pay off, or we can pay off the lien in full if required. Q: What if my house is listed with a broker? A: We have bought hundreds of houses from real estate agents and we can work with them on the purchase of your house. The transaction is basically the same. Whether or not you choose to have a real estate agent represent you is completely your choice. Q: What will happen to my mortgage when you buy my house? A: When we buy your house, we pay your mortgage off in full. This is done at the title company by professional title agents. We bring a cashiers check to closing and the title agent disperses the remaining note balance to the bank and the rest goes to you. Q: Do you only buy houses? A: No. In addition to houses, we buy land, apartment buildings, duplexes, triplexes, and even office buildings.